Varieties of marijuana were out for sale at a Newton medical dispensary last year. 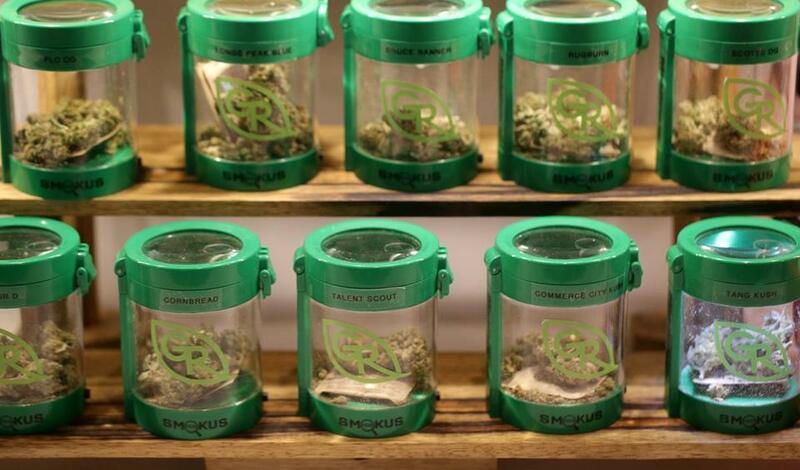 In most states that have legalized the drug, marijuana is sold exclusively at brick-and-mortar dispensaries. But in Massachusetts, cannabis officials have proposed making pot available through licensed delivery services, cannabis “bars,” and even at yoga studios, movie theaters, and restaurants — setting up the state to host perhaps the most diverse regulated cannabis market in the world. But now, operators of existing medical dispensaries, many of whom plan to enter the recreational market, are suggesting the state Cannabis Control Commission’s permissive approach will attract unwanted attention from the federal government. They argue that Massachusetts should keep a low profile, not turn itself into a wonderland of weed, after US Attorney General Jeff Sessions in January gave federal prosecutors more discretion to bring cases against state-legal marijuana operations. But Cooper and other medical dispensary operators can expect pushback from advocates at a series of hearings that the commission is holding during the next two weeks. The activists contend dispensaries are trying to limit competition. Meanwhile, public health advocates and opponents of legalization are also expected to urge state regulators to slow the rollout of commercial pot sales. The commission is working to finalize rules for the industry and hit a number of upcoming milestones: a mandatory March 15 deadline to finalize and promulgate regulations, an April 1 deadline to begin accepting license applications, and a July 1 target for the start of recreational sales. Dot Joyce, a spokeswoman for the cannabis commission, said the agency already spent several months working on draft regulations, and incorporated numerous recommendations submitted during public feedback sessions last year. She added that officials will carefully consider additional comments as they finalize the rules, but hinted they were unlikely to hit the “reset” button. Cooper and others in the medical marijuana space are mostly concerned about those novel license types: delivery-only retailers, social-consumption bars, and “mixed-use” licenses for movie theaters and other businesses for which selling pot wouldn’t be the primary source of revenue. Each could prompt a federal crackdown, they argue. For example, the bars could have stoned drivers taking to the roads, causing an uptick in crashes, while delivery services that aren’t tightly regulated could lead to pot falling into the hands of teenagers. Some in the medical cannabis sector wouldn’t mind if such businesses never opened, while others just want those additional licenses delayed by a year or so. Dispensary owners also noted they were required by the state’s medical marijuana program to invest huge sums in their operations, and that it would not be fair to let new, less capital-intensive businesses undercut them. Dispensary officials stressed that a crackdown by federal authorities could drastically reduce the supply of cannabis, hurting medical marijuana patients who rely on the drug to control pain, seizures, and other symptoms. But some operators aren’t exactly shy about how a “go slow” approach would protect their business interests, too. The dispensaries may have an influential ally on Beacon Hill. State Representative Mark Cusack, a Braintree Democrat who cochairs the Legislature’s marijuana committee, said licensing home-delivery services that are not attached to a physical storefront goes beyond what lawmakers envisioned. “Our whole model was, everything happens at the point-of-sale at the dispensary,” Cusack said, referring to the Legislature’s rewrite of the 2016 ballot question that legalized marijuana. Cusack noted that he is also in favor of less restrictive rules for other aspects of the pot industry. He has communicated his concerns to the Cannabis Control Commission, but also left open the possibility of forcing fixes through legislation.